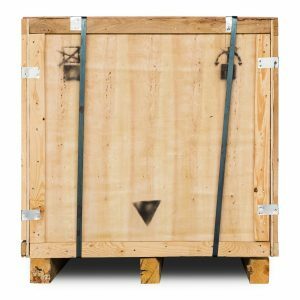 Did you know that if you want your artwork to arrive at the destination in perfect condition, you need to transport it in a special custom shipping crate? Besides, this crate should be designed and built in full accordance with the dimensions of your particular artwork and its transportation requirements. Hence the question arises: who can make such a crate quickly, professionally, and at a reasonable price? Well, you have come to the right place because Fine Art Shippers specializes in manufacturing wooden crates for art and antiques! Moreover, we can build a durable custom shipping crate for artwork of any size, shape, and weight, making Fine Art Shippers a preferred choice for many art business professionals and collectors in NYC and the Tri-State Area. Whether it comes to a painting, sculpture, or any other piece of art, Fine Art Shippers is a good choice to order a custom shipping crate. Based in Midtown Manhattan, with a crate workshop in Brooklyn, our company has long been serving businesses and individuals in New York, providing them with quality custom crating services at competitive rates. Furthermore, in addition to professional art packing and crating services, we offer local art transportation, international art shipping, art shuttle, and art storage services that are also available at very attractive prices. In other words, whatever your art logistics needs, Fine Art Shippers is exactly the company you are looking for!